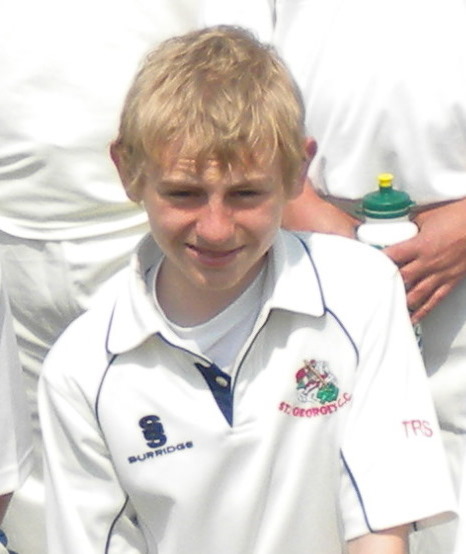 St. Georges 4th XI put up a good looking score of 246 / 7 dec. on Saturday at home v Reman Services 3rd XI, with 15 year-old Jack Heath making 121, his first century in senior cricket. (Dad would have been proud) . Fellow 15 year olds Kareem Zaman (34) and Amir Sattar (27) provided good support. Despite this the result was by no means a foregone conclusion, with Reman coming close to the target, being bowled out for 225 in a exciting finish, giving the Dragons victory by only 21 runs. Dave Seaton returned bowling figures of 4 /19, making up for his duck with the bat, and Aaron Musgrove 4 / 49. This entry was posted on Sep 10 at 7:17 pm, and is filed under Club News. Follow any responses to this post through RSS 2.0. Both comments and pings are currently closed.